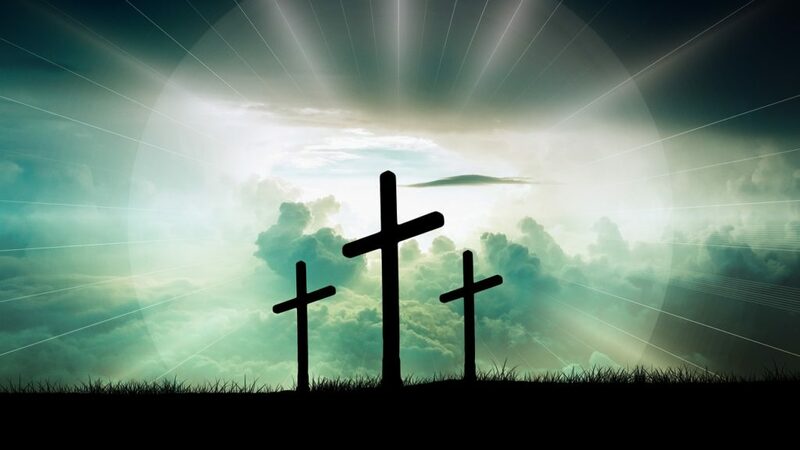 Easter… If Jesus hadn’t died for us, if he hadn’t been raised from the dead, we would be lost forever, with no hope. It’s hard to express, for those of us who are children of God, how much that means to us. Words can not convey the gratitude, however much we try. This story, of all stories, is so full of joy after sorrow, hope after despair, light after darkness, truth after deception, life after death, undeserved forgiveness. Once again at this time of year, our hearts overflow with awe at the amazing grace of God – his sacrifice for us, because he loved us. It’s a story we have to share. Please continue to pray for the children who read our books, which convey something of the good news of Jesus, wherever they are in the world – orphans and refugees in Nigeria, desperately poor children in Kenya, children of prisoners in the UK, and so many others. Children who go to church, and children who don’t… all need encouragement to walk with Jesus. If your church has an Easter outreach event, A New Me for 10-12s would be a great book for the children to take home. The story features Jess, whose dad has left home because he drinks. Forced to move home as they are behind with the rent, Jess, her mum and brother start a new life in a new village. Jess joins the church youth club and meets Christian young people for the first time in her life. 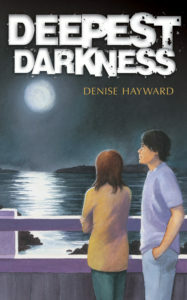 She learns about Jesus, forgiveness, and what a new start really means. As in all our newer books, A New Me has a dyslexia friendly design. 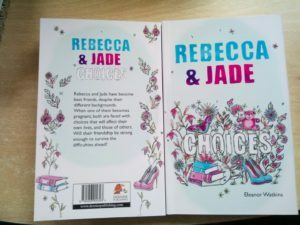 Rebecca, in Rebecca and Jade: Choices (for teens) opens her heart to Jesus at an Easter church service. 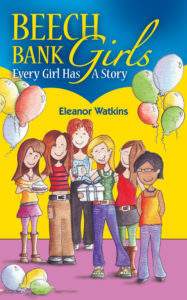 Do you have a teenage girl you could share this book with? They’ve arrived! Real copies at last! 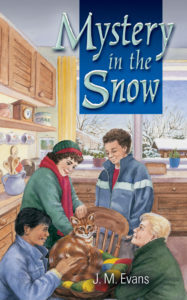 Mystery in the Snow is also set at Easter, although it does snow (not unknown in the UK!). 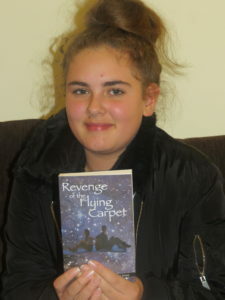 If you were looking for a book on forgiveness/grace/justice/mercy, Revenge of the Flying Carpet (for 10-14s) would be a good option. Good for young people living with difficult people/situations they feel powerless to change. Please contact us for quantity discounts. We want your young people to have our books, and will do what we can to help you. 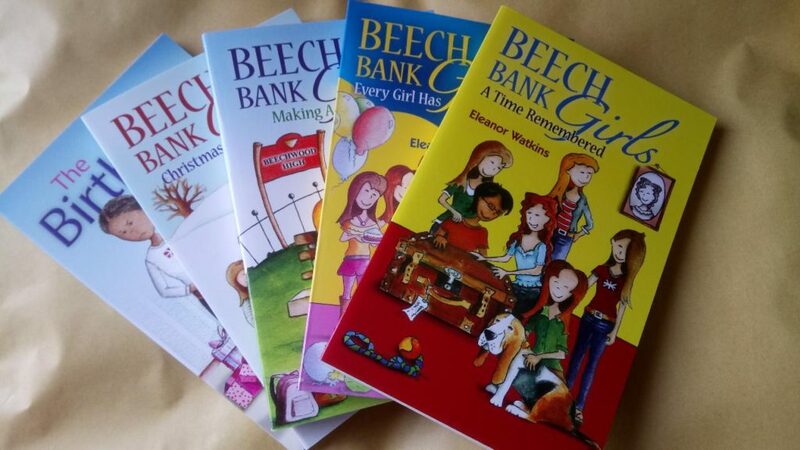 ‘I really like Beech Bank Girls. It is about six teenage friends, Annie, Willow, Rachel, Holly, Amber, and Chloe. In this book, there is a miracle with Chloe’s brother. He has been unwell with depression, he reads Christian books, becomes a Christian, and is much better. Another thing that happens is that Amber’s dog dies, and her parents try to make her happier by getting another dog. They wanted her to name it. It makes Amber sadder, but after a cat fights the dog (who she names Hamlet in the end) she becomes friends with him. Holly has a date with a boy, he kisses her, and she does not like it, so she cancels the date. Annie joins the group of friends. Also, Willow gets to know God better. Thank you, Mary, for your encouragement! We are building up our list of books that have Discussion Questions. If you want to discuss the book with your children, run a book club, or use the book as a class reader, you may find these questions helpful. You can find the list of books that already have questions here. This is the link to our online catalogue. All our books are there for you to browse. Please pass the link on to schools, teachers, youth workers, homeschoolers, people who work with Boys and Girls Brigades, and anyone you know who might be interested in Christian books for the children on their heart. Feel free to browse then buy from your local Christian bookshop – they need your support to keep going. Where Will the Books End Up? Every new order is exciting! You never know where the books will end up. Will they go to a girl like Mary, who enjoyed the story? Who will read them? Will they change lives? These five books (below) were ordered from our website by a lady in Chatham, Kent. May they be much used and loved! Don’t let your young people miss out. Not every child enjoys reading, but if you know one who does, don’t miss the opportunity to be a blessing. Right, that’s all for now! May the grace of the Lord remain with you always. P.S. We very much appreciate your feedback. With this in mind, what one thing could we do to make it easier for you to buy our books?